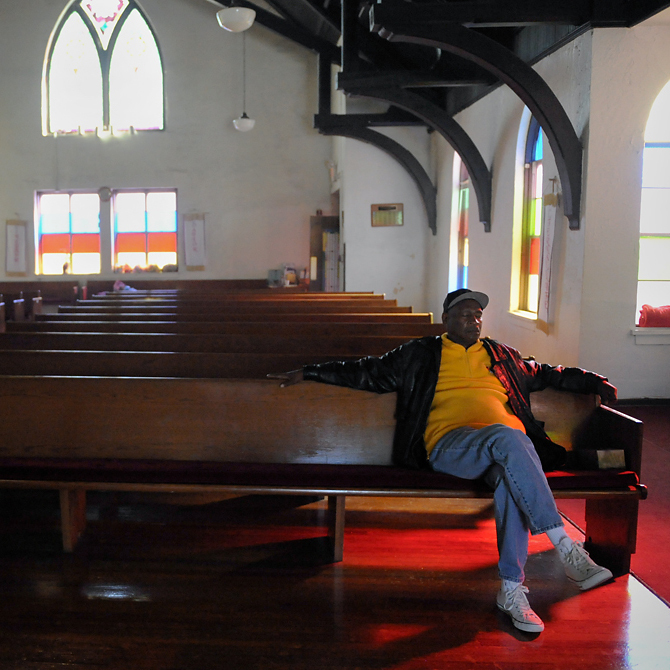 John Clark(cq) sits inside St. Paul A.M.E. Church and listens to the piano on Friday, March 25, 2016. Clark said he is a new member of the church, having only attended about six Sundays, but loves listening to the piano. “I love the way she plays it, the piano lady,” Clark said.